Cartoons of Indian Politics and Indian Humour By Willard Ahenakew: 8. Born on Sandy Lake Reserve in Saskatchewan about 1944, he lost his father at age 2 years and grew up in a number of foster homes. He was a student at Kinistino High School in Prince Albert Saskatchewan. It was a mark of his dedication that he travelled 50 miles to Prince Albert several times a week. Following graduation he became Staff Artist at CKBI Television for 5 years. 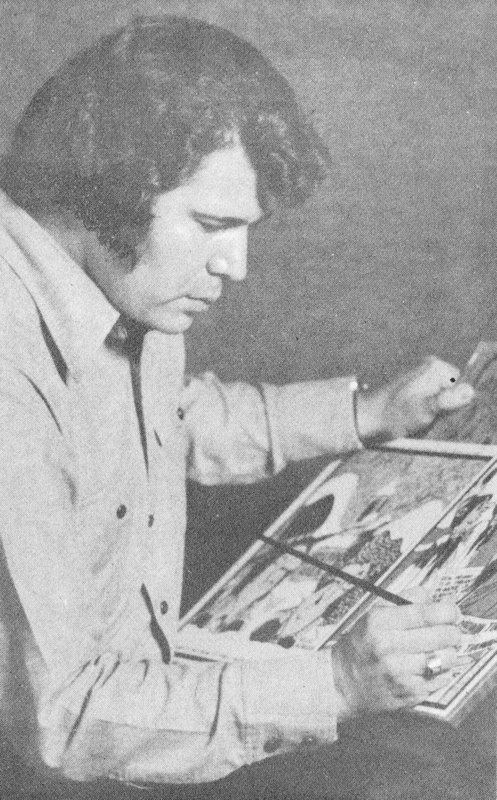 In 1971 he joined the staff of The Saskatchewan Indian, the newspaper of the Federation of Sasklatchewan Indians, where he became layout artist, reporter and photographer as well as cartoonist. “Comments.” Willard Ahenakew. Cartoons of Indian Politics and Indian HumourBy Willard Ahenakew. 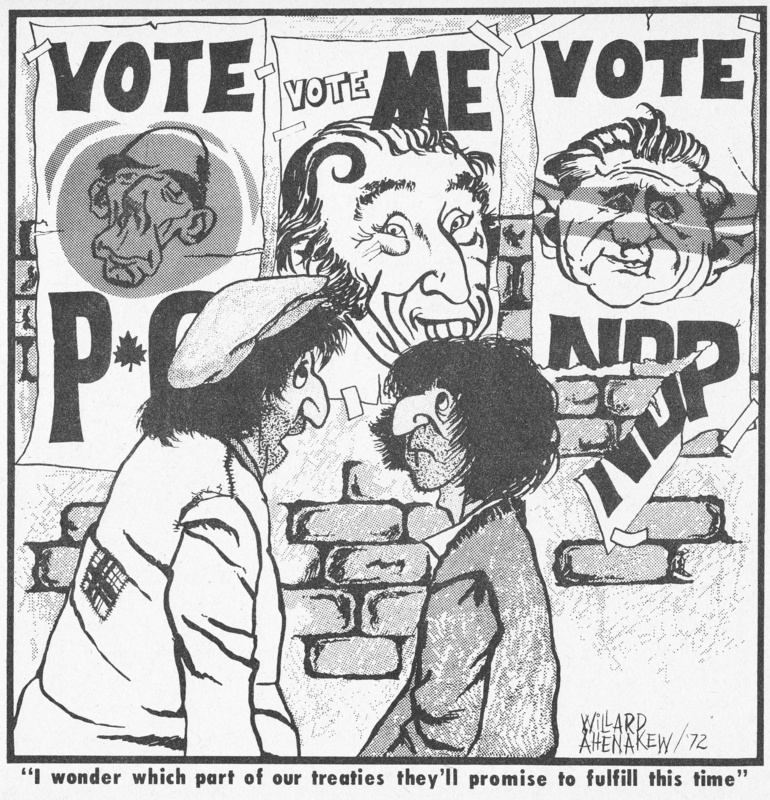 Saskatoon: Willard Ahenakew, 1974..
“Introduction.” Writ., Don Leitch Cartoons of Indian Politics and Indian HumourBy Willard Ahenakew. Politics and Indian HumourBy Willard Ahenakew. Saskatoon: Willard Ahenakew, 1974. Cartoons of Indian Politics And Indian Humour By Willard Ahenakew: 33.